AMES — Before the season started, Iowa State men’s basketball coach Steve Prohm presented his team with two simple Gatorade cups. 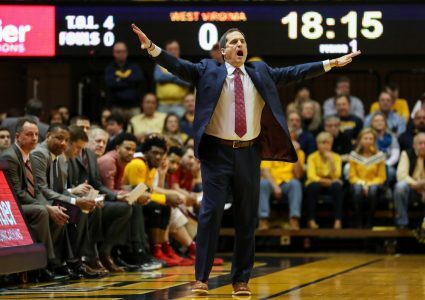 Prohm’s quick-jelling Cyclones weren’t quite sure, so the motivational gambit was initially met with arched eyebrows, bemused skepticism and a few chuckles. The Cyclones (7-1) will need a full supply of both positive and closely-related attributes against the Hawkeyes (6-2) in their first true road game of the season. 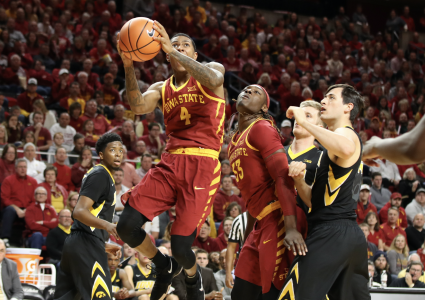 ISU’s won seven of the past nine meetings, but lost the last Cy-Hawk game in Iowa City, 78-64 two years ago. That’s because along with swagger and confidence, the Cyclones’ balanced blend of experience and youth brims with length and versatility. ISU is ranked No. 15 by KenPom.com and boasts the nation’s 17th-best adjusted offensive efficiency rating (113.5) and 16th-best adjusted defensive efficiency mark (92.9). 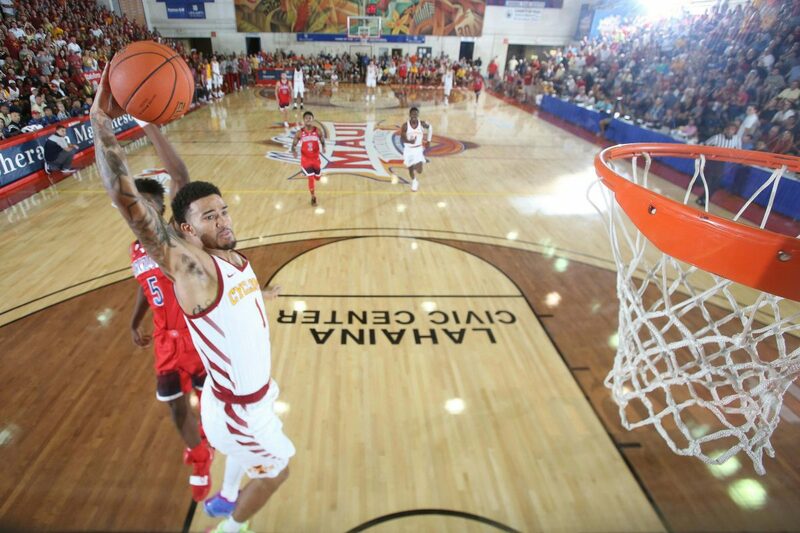 One key to ISU’s early-season success is rooted in a dogged commitment to each game plan. Another is based on consistency. These guys excel at having each other’s backs — and exude the confidence and swagger that makes such complementary play possible. 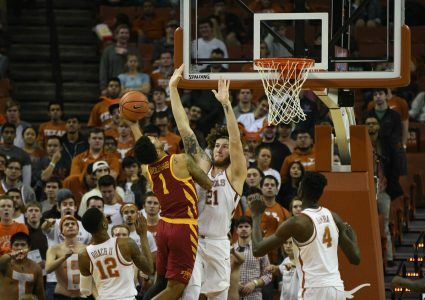 An early-season foot injury forced star guard Lindell Wigginton to miss the past seven games — and he’s not slated to return for at least another week to 10 days. Two other prime contributors, big man Cam Lard and swing man Zoran Talley, were suspended the first seven games, and another veteran, forward Solomon Young, remains out after undergoing groin surgery. But the Cyclones haven’t played as if they’re short-handed. That’s because transfers Marial Shayok (19.4 points per game, 6.0 rebounds) and Michael Jacobson (16.8 points, 8.0 boards per game) have blended splendidly with true freshmen such as Talen Horton-Tucker, Tyrese Haliburton and George Conditt, among others, to form a tight unit that’s excelled on both ends of the floor. Weiler-Babb leads the Big 12 with a 4.5-to-one assist-to-turnover ratio. Talented reserve Terrence Lewis has drained five of his past 11 3-pointers and scored in double figures twice in the past three games. So that swagger and confidence is spreading. What else does it mean? Togetherness. Playing for each other. Trusting the rookies to play like veterans, at home or on the road — on Thursday and beyond. MAILBAG: How much better will next season be?